The Food Flask by Black + Blum is a pot for food, keeping it hot for up to 6 hours or cold for up to 8 hours. 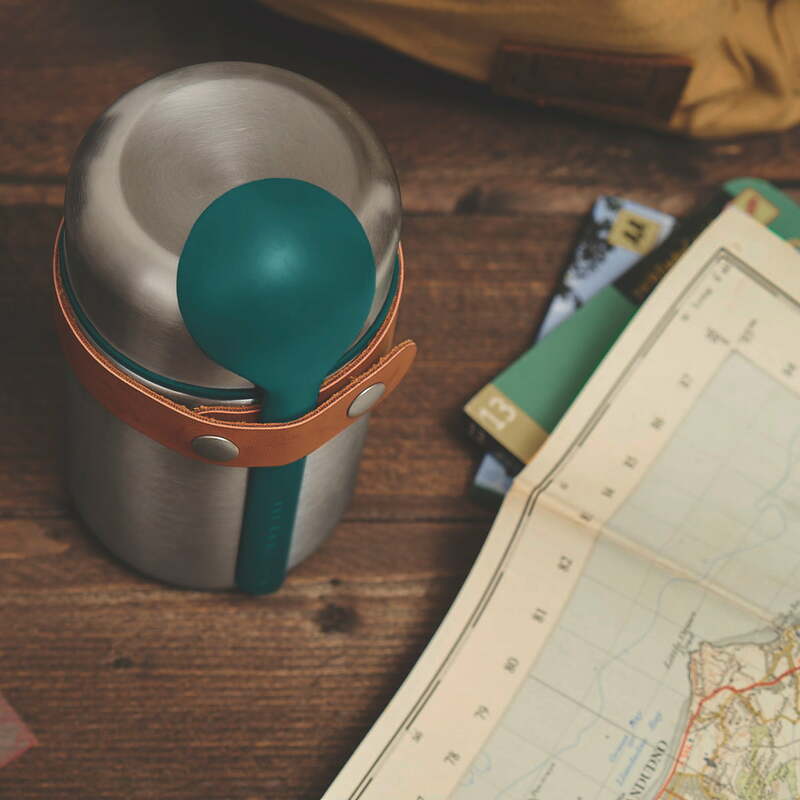 The food container is made of stainless steel, the lid is made of BPA free polypropylene with silicone and a buckle made of vegan leather holds the integrated spoon. To keep food hot or cold as long as possible, the vessel should be preheated or precooled. For this purpose cold or hot water needs to be filled in the tank and left there for at least 3 minutes. 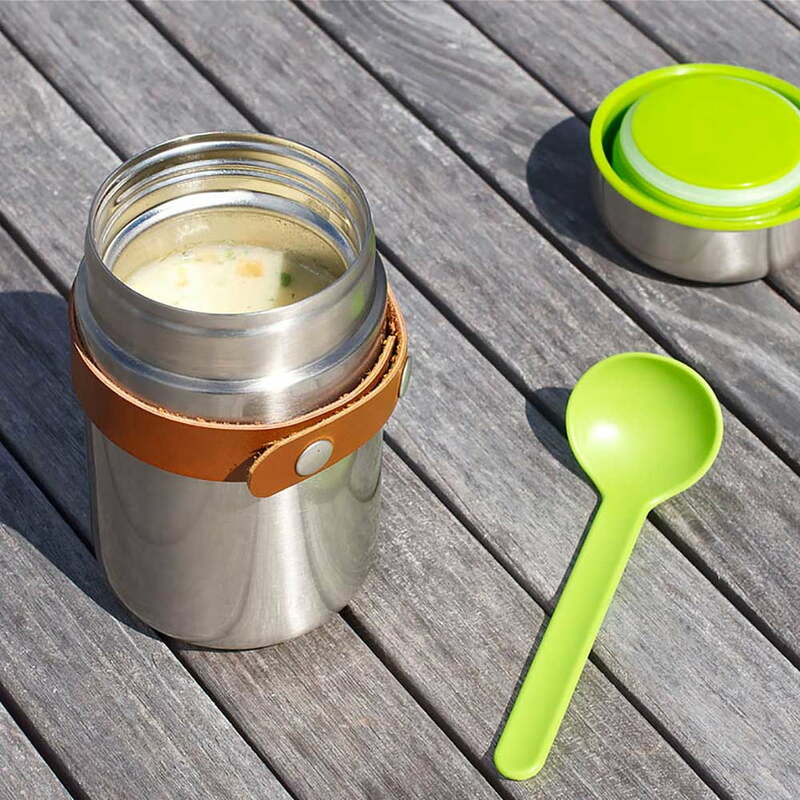 This way the vacuum insulated pot is particularly suitable to take delicious soups or yogurt to work or for a picnic. The food container is not suitable for the microwave or dishwasher. Dairy products, perishable food and baby food may not be filled into the pot. The silicone seal ring needs to sit tightly in its place before closing the pot. 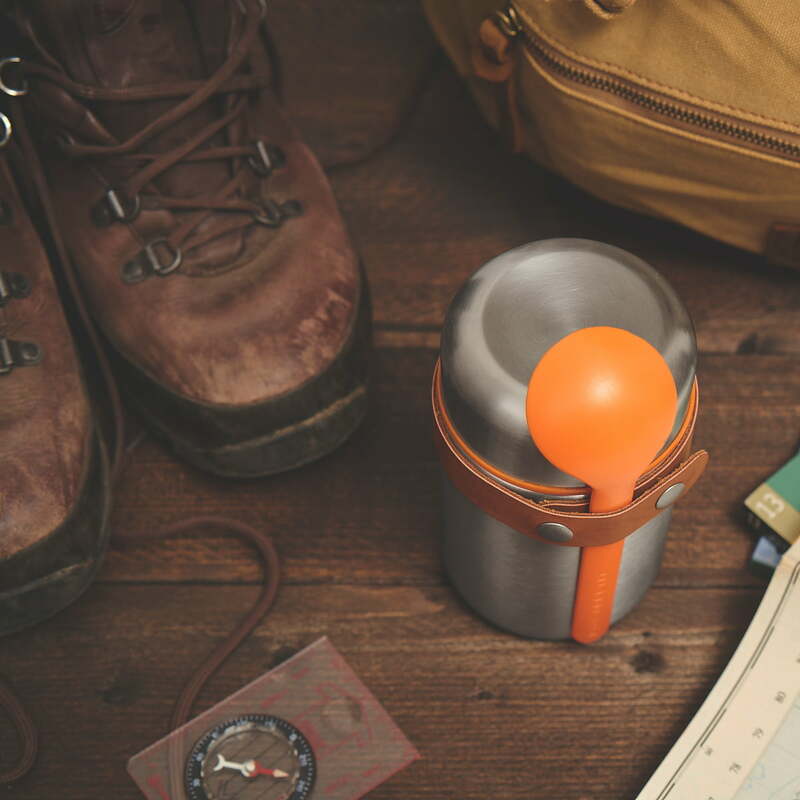 Before the first and after each additional use, the flask needs to be cleaned with hot water and detergent. However, it should never be fully immersed in water. Drain after cleaning and dry thoroughly. Always store with lid removed. To remove stubborn stains on the inside, fill with hot water and add one teaspoon of bicarbonate of soda. Please note to not put the lid on while using this cleaning method. For best results soak overnight. Always rinse before re-use. To avoid stains and residue, use a solution of vinegar and water. The Food Flask by Black + Blum is not microwaveable nor dishwasher proof. Individual product view of the Food Flask by Black + Blum in orange. 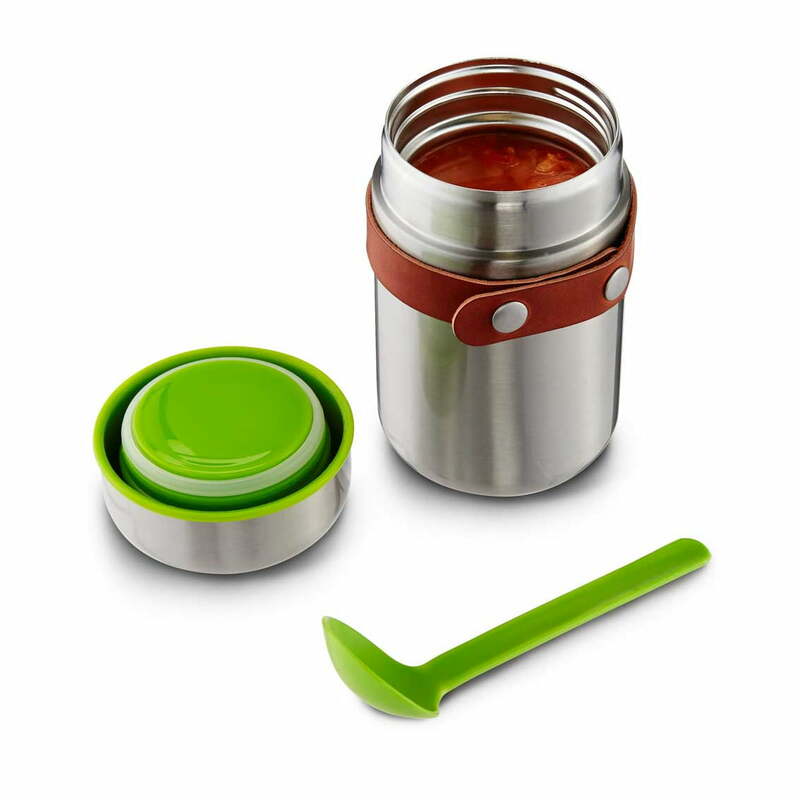 The food container is made of stainless steel, the lid is made of BPA free polypropylene. The Box Appetit Food Flask by the British manufacturer Black + Blum is a stainless steel pot for food, keeping it hot for up to 6 hours or cold for up to 8 hours. 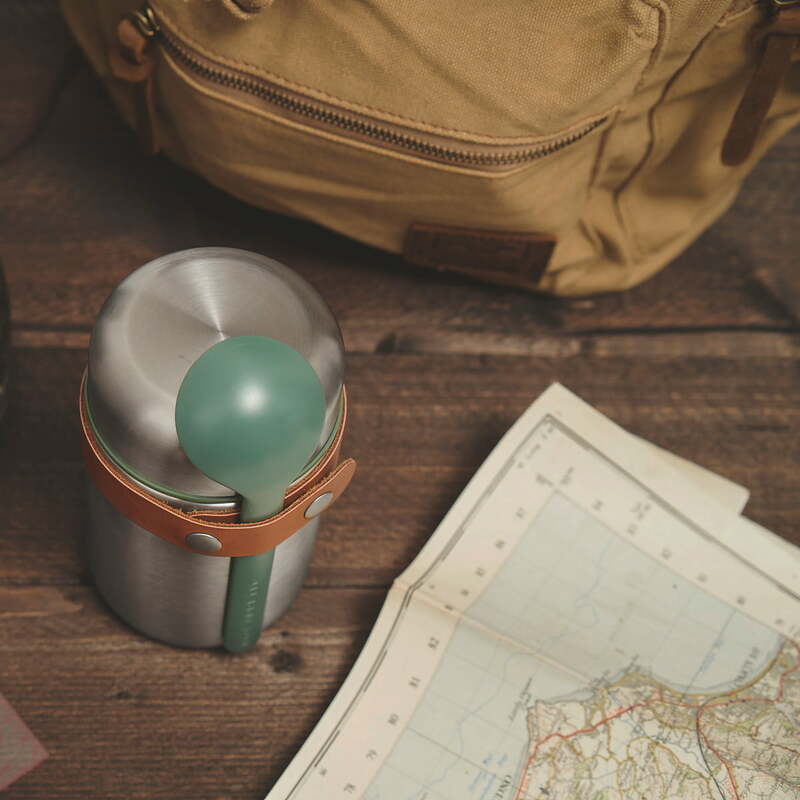 Lifestyle product image of the Food Flask by Black + Blum in ocean: The container is the perfect companion when you want to take food with you while on the go. 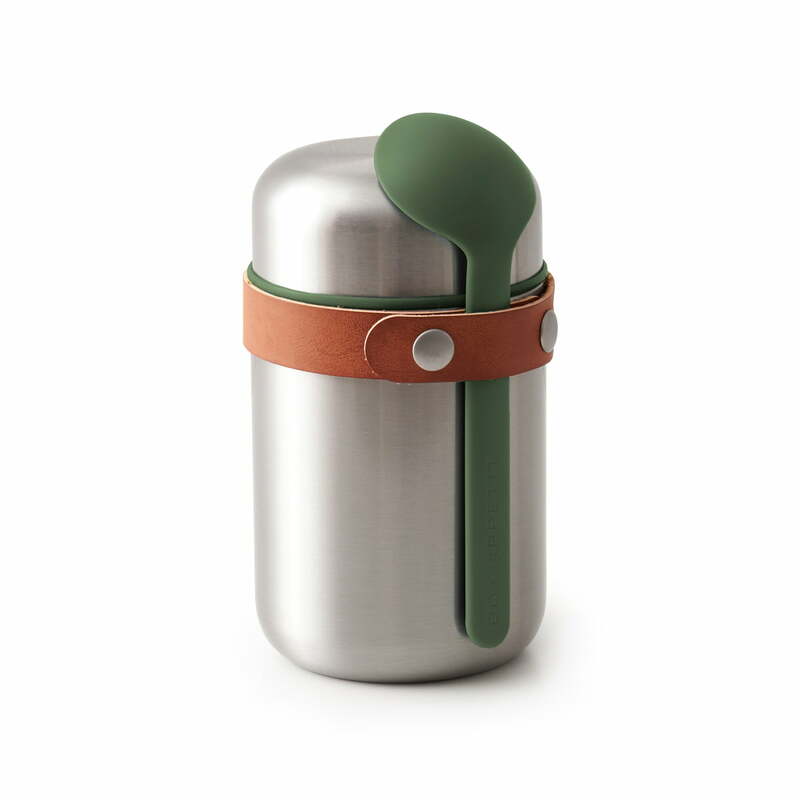 Lifestyle product image of the Food Flask by Black + Blum in olive: The container is the perfect companion when you want to take food with you while on the go. 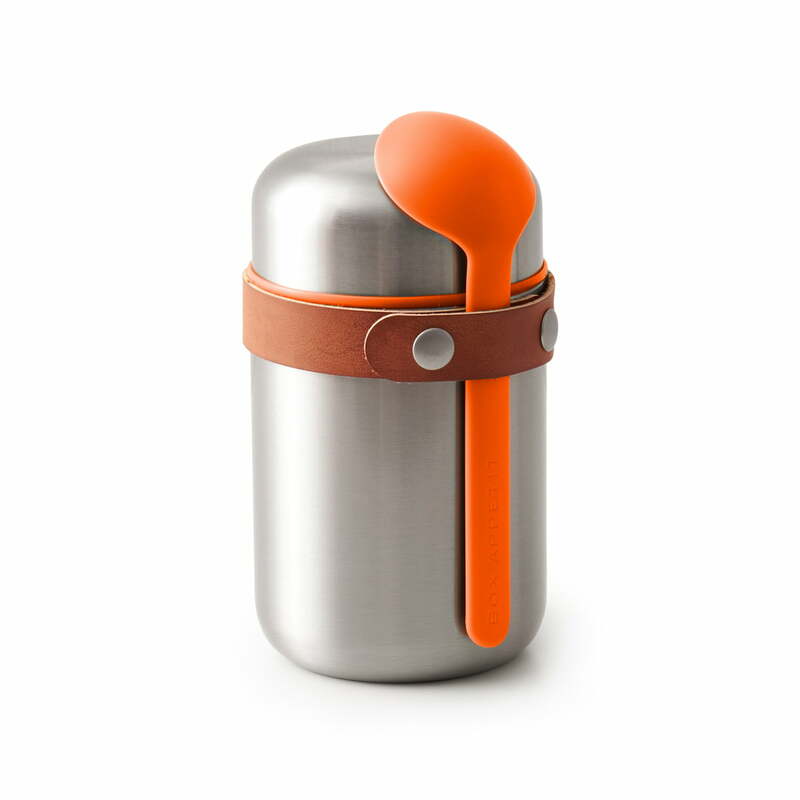 Lifestyle product image of the Food Flask by Black + Blum in orange: The container is the perfect companion when you want to take food with you while on the go. To keep food hot or cold as long as possible, the vessel should be preheated or precooled. For this purpose cold or hot water needs to be filled in the tank and left there for at least 3 minutes. Detail view of the Box Appetit Food Flask by Black + Blum. 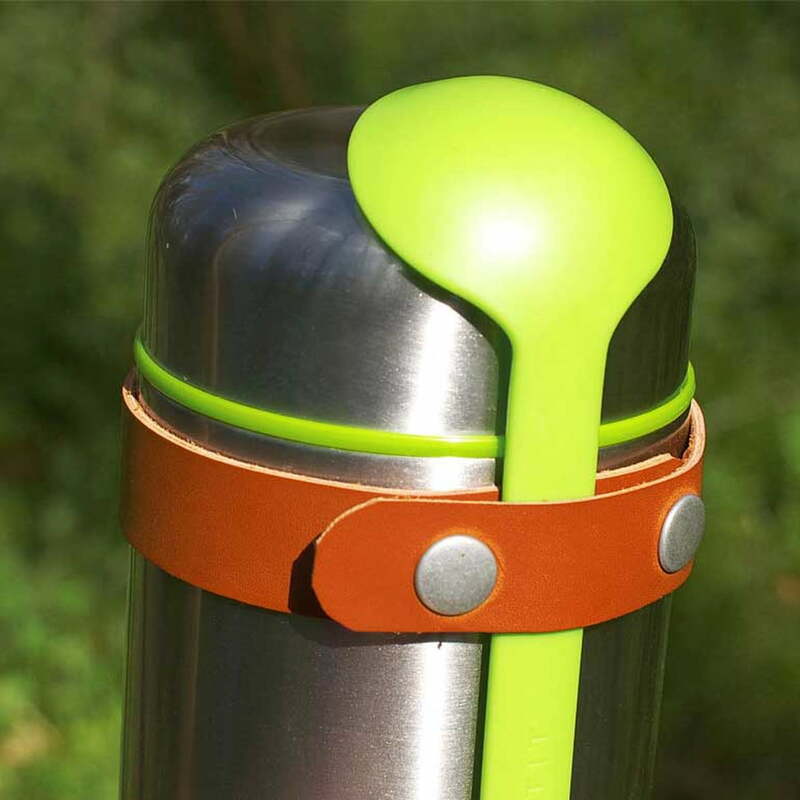 A buckle out of vegan leather keeps the integrated spoon made of BPA free plastic on the flask made of stainless steel.